The new year is upon us! Happy 2016 everyone! 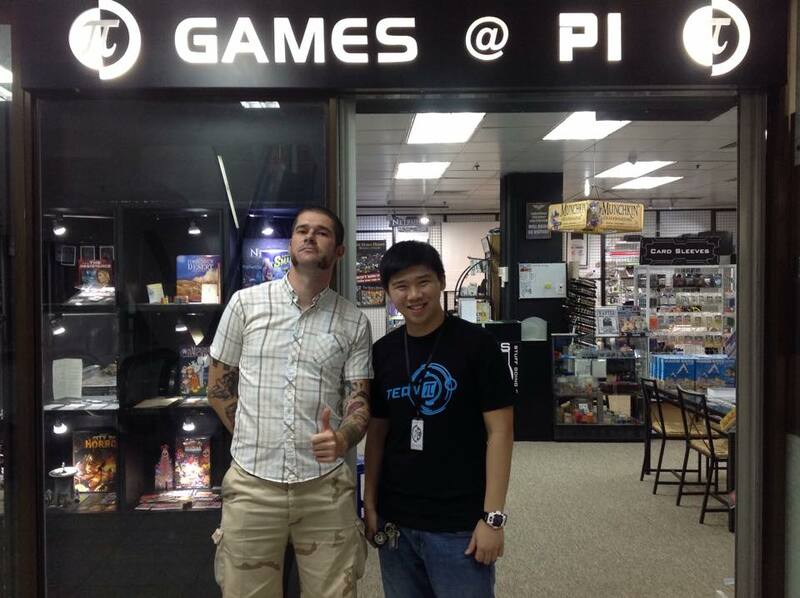 Here’s a little update at what’s been going on at Games @ PI in the month of December. 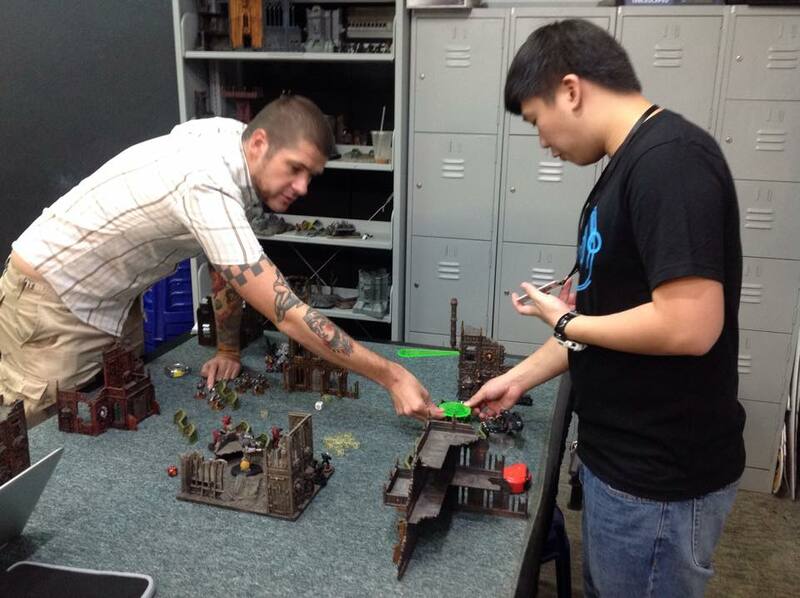 On December 4th 2015, our friend from Poland, Tytus, joined us here at our store for a little game of Warhammer 40,000 with our staff, Aaron! 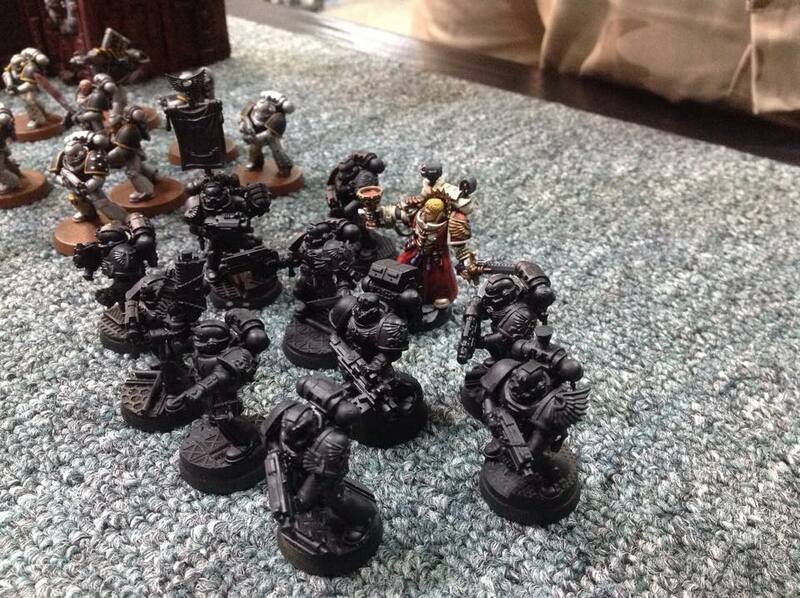 Despite some delays with the flight, Tytus managed to make it to our store with his little army of Blood Angels! Tytus’ sanguinary priest is well painted despite his busy schedule. Left: Tytus had to have a little crash course on the rules since its been awhile since he last played. The 750 point game was didn’t take too long and although Tytus lost the battle, both parties concluded their game with a firm handshake. If you’re interested in an in-depth battle report on the game that Tytus and Aaron, you can check out Tytus’ wargaming blog here! The two posed for a picture at the end of the game. At the end of the night, Tytus had to go off. Although it was a short exchange, everyone had a great time getting to know each other. Tytus is a travel blogger and he runs his own miniature painting blog! You can find out more about him here! 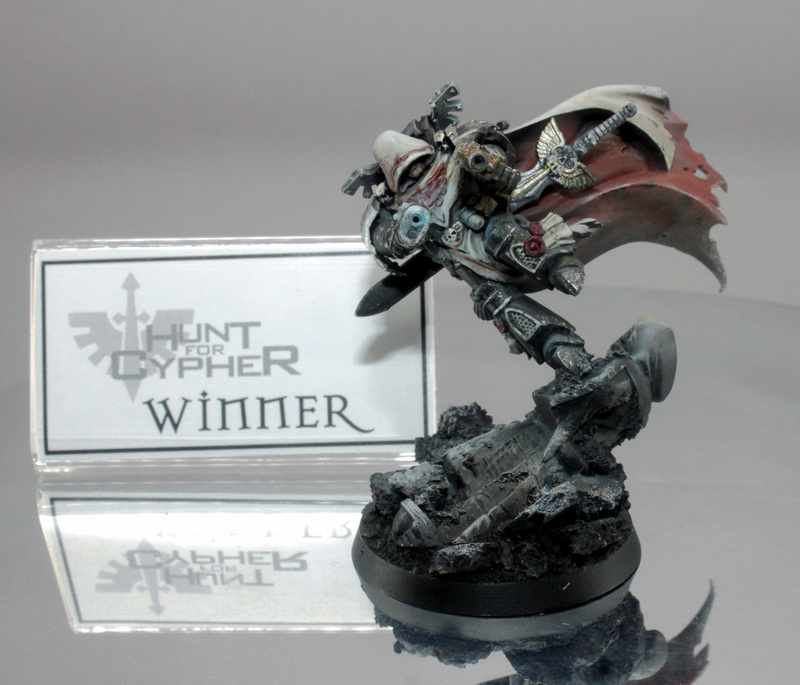 Our Hunt for Cypher painting contest was amazing! We had a bunch of amazing models submitted to us by our fantastic friends! 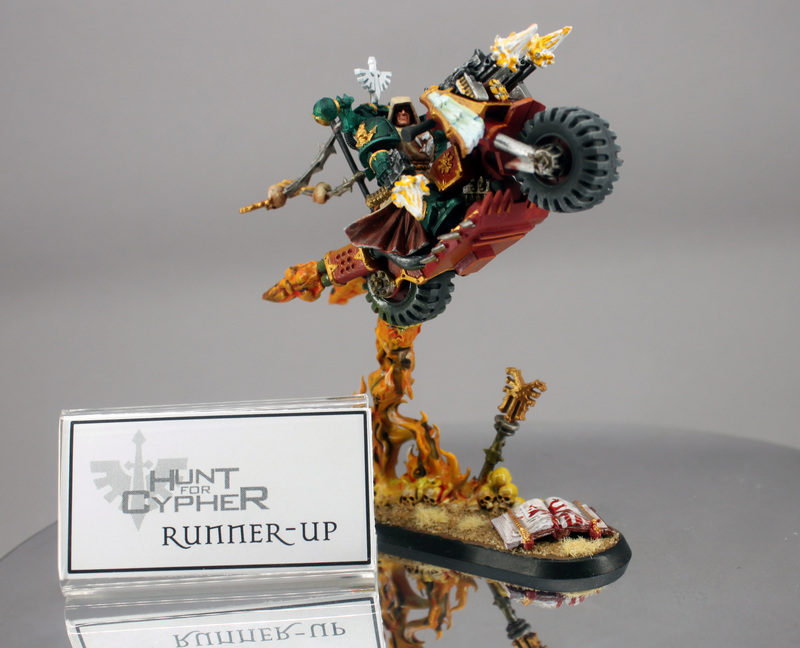 Just in case you missed the news, here’s the winners of the Hunt for Cypher painting contest. Winner – Zheng Han John’s magnificent Cypher sculpt impressed our judges. Li Chunfu’s impressive pose for Cypher leaves us in awe as well! Here you can see the other photos of the contestants! Look forward to future painting contests to showcase your talents! 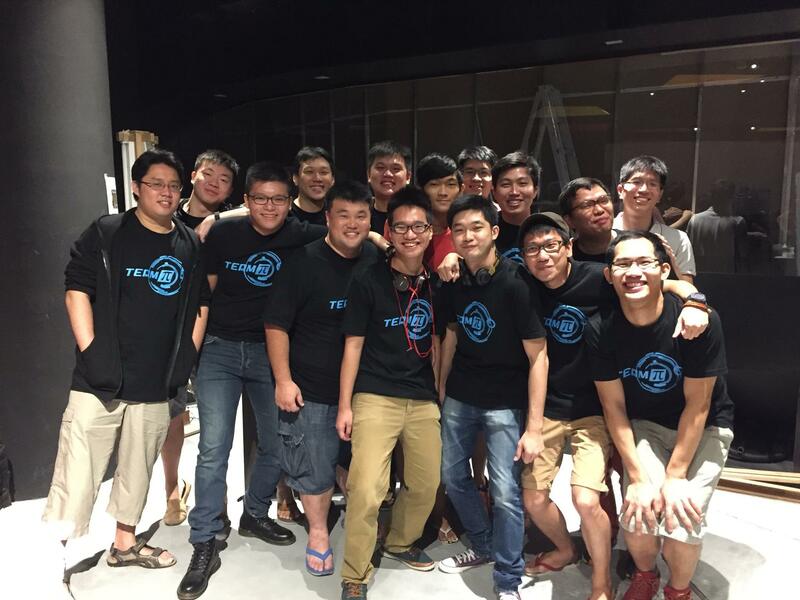 Our Android: Netrunner LCG community attended the Netrunner nationals on December 12th! Here you can see their happy faces! Interested in the Android: Netrunner LCG as well? We play Netrunner every Tuesday! You can find out more here! Everyone (almost) is wearing our Team PI T-shirt. Team PI represent! We hope 2015 was a blast for you guys too! Let’s look forward to what 2016 has in store for us!